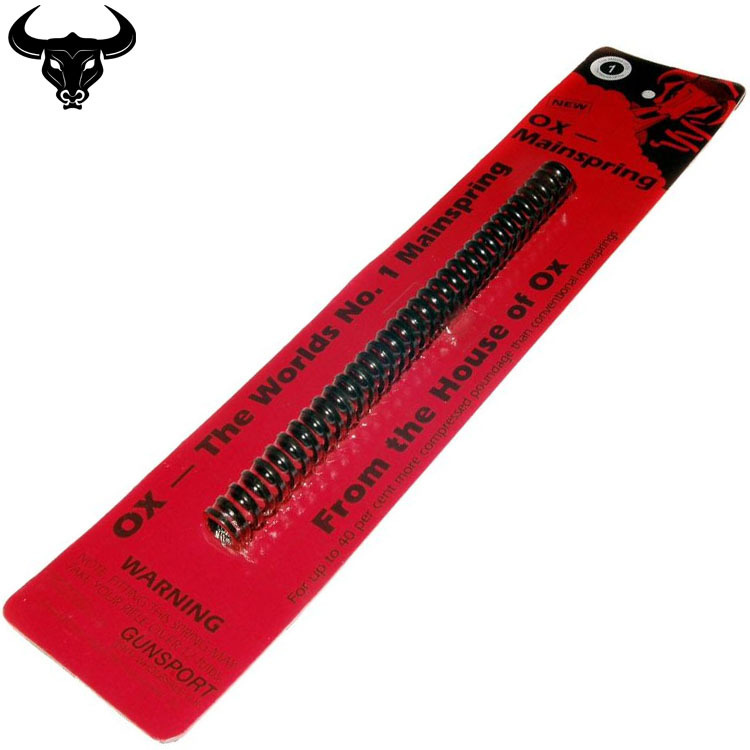 Available for a variety of Air Rifles, OX Springs are the worlds first Square Section air rifle mainsprings available to the public. Manufactured from Swedish High Content Chrome-Maganese – Carbon – Silicon – Tempered Spring steel, offering tensile strength in excess of 250,000 lbs per square inch. No.2 Spring is for BSA Meteor, Milbro, Diana G80, 27, Norica, Baikal, Cometa 300, 400 and the No.2 also fits Cometa 5, 50, 100 with a few coils removed. No.6 Spring is for Hw77 & Hw77K, HW97 & HW97K, Feinwerkbau (Fwb) Sport, Also All Larger Original Models if ultimate power is required.